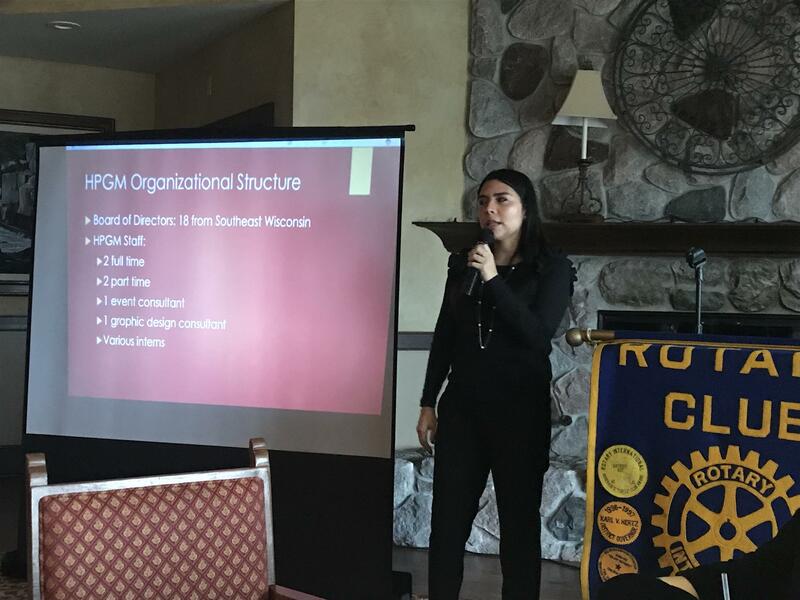 Thank you to Griselda Aldrete and Kim Schultz from the Hispanic Professionals of Greater Milwaukee (HPGM) for speaking at our meeting on Tuesday and sharing some insight of what HPGM is doing to advance and inspire young high school and college age Hispanics in Milwaukee. HPGM holds an annual GALA which will be held this year on May 11. Griselda Aldrete is the president and CEO of HPGM. Her primary responsibility is to work in coordination with the Board of Directors to develop and execute the vision and strategic plan for the organization. She has far-reaching experience in community leadership and outreach, financial oversight and managing day-to-day operations of complex organizations. She received a bachelor’s degree in Criminology/Law Studies and Spanish from Marquette University, a master’s in Criminal Justice from the University of Nebraska-Omaha and a law degree from Marquette University Law School. 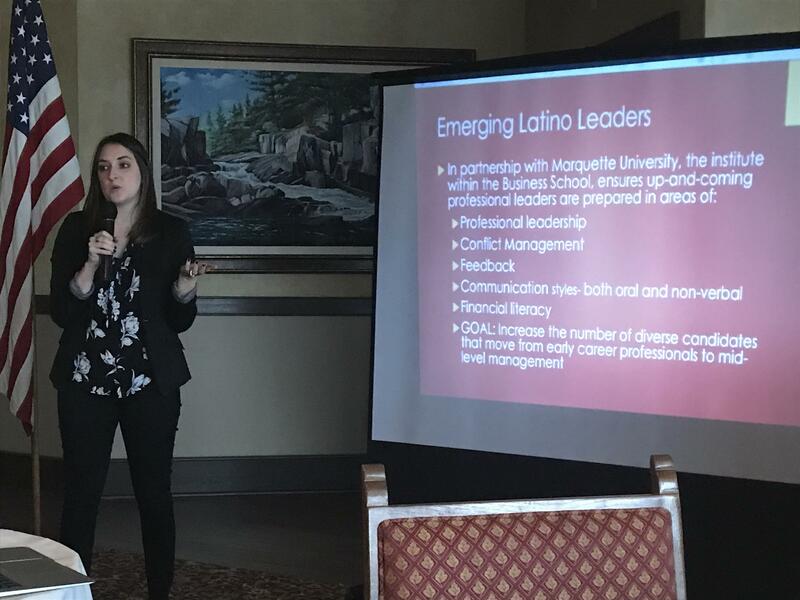 She is a graduate of the National Hispana Leadership Institute Executive Leadership Fellowship and the Harvard Business School Executive Leadership Program, and is a proud alumna of the Future Milwaukee Leadership Program at Marquette University. Kim Schultz is the Director of Strategic Partnerships for HPGM. She is a graduate of UW-Madison and is also a proud alumna of Future Milwaukee Leadership Program at Marquette University. She currently serves on the Wisconsin Humane Society Advisory Board, is the chair of the Racine Community Committee, and was elected in 2019 to the Class of Milwaukee's Emerging Women Leaders.